You brought a spacious property in Utsav city Panvel as an investment. Are you planning to sell your property? You are not likely to settle for anything less than the best when it comes to getting returns on your real estate. However, to get total proceeds, you need to be at the top of your game, right from the moment you decide to sell it. Here, a real estate checklist might help. Your planning may start even before the valuation of your property occurs. You may decide to sell the property with the help of a real estate agent or plan to do it yourself. In either case, there are a set of tasks to do. Your property in Mumbai can be your ticket to huge returns. Therefore, you may want to ensure you do the right thing to get potential gains on your flat in Mumbai. Your property may seem perfect to you. However, to a potential buyer, it must come across as their dream home. Any leakage, wall-chipping, floor cracks, or stains might make the property appear unattractive to buyers. Further, such imperfections may also lead to a lower valuation of your property. Therefore, it is advisable to have a quick renovation, involving minor repairs. You may also want to consider whitewashing or repainting to brighten the appearance of your home. It is recommended to deep clean the house before going in for property valuation. This is especially crucial if you have furniture on the property. A potential buyer may lose interest in a property that displays any pest infestation. Therefore, once the minor repairs are through, you could hire professionals to clean your home thoroughly. Study the property rates in your locality. Also, view the list of amenities offered by various properties. You could use modern tools, such as property valuation calculator, to find out the best price for your property. This can help you know prevailing market rates for your house. After calculating the per square meter rate for that area, take into account the gross value of furniture in the house. If you are looking for a spacious property in Navi Mumbai, Utsav City Panvel can be an excellent choice. Utsav city offers spacious 1-2 BHK flats in Panvel. It offers attractive commercial and residential spaces at an affordable price. Make a list of all the online/offline portals, where properties are listed. Make sure you list your property in all those portals. Provide your correct contact details. State clearly if the price of your property is negotiable or non-negotiable. Post clear pictures of your property. After listing your property, speak to potential buyers. They may want to visit your property. Make sure that you are available at the time of showing your property to interested buyers. In case, you are taking the real estate agent route, be in regular touch with your agent to discuss status of prospective buyers. In case a potential buyer is willing to negotiate, explain to them positive points about your property. You may want to convey a list of positive aspects of your property to the buyer based on the price. This checklist can help you follow a systematic, step-by-step approach to selling your property. In case, your buyers are looking for a home loan, a lender like Bajaj Finserv Homes & Loans offers home loan of up to Rs.3.5 crore. This loan could be repaid over a flexible tenor of up to 20 years. Since property prices are sure to rise, you could convince buyers they would reap good returns on their real estate investment. 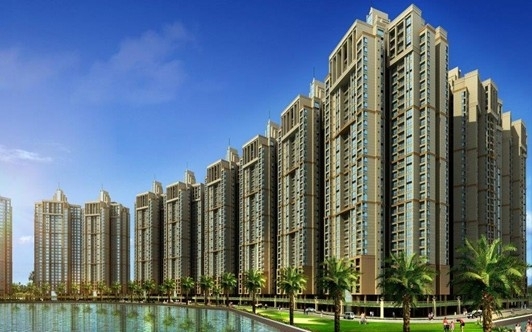 You bought a spacious property in Utsav city Panvel as an investment. If you are planning to sell this property for capital gains, you will probably not wish to sell it for anything less than maximum profit. However, to get great proceeds from the sale of the flat, you need to ensure everything about the property is top notch and worth the price tag, right from the moment you decide to sell it. Here, a real estate checklist might help. Your planning should start even before the valuation of your real estate property occurs. It is vital to do minor repairs and deep cleaning before deciding upon the valuation of your property. Listing your property also involves specific steps. Accurate listing of your property is essential, if you want to get a good buyer response. Next step is to speak to as many buyers as you can. This may give you an upper hand in negotiation. Convince your buyers to invest in the property before any further upsurge in the price. Also, highlight upon the good returns on this investment, considering the skyrocketing prices of real estate. Make sure that you are available at the time of exhibiting your property to interested buyers. In case a potential buyer is willing to negotiate, explain to them the positive points about your property. You may want to talk about all positive aspects of your property to the buyer and the logic behind the price proposed. In case the buyers are looking for a home loan, you can suggest home loans by Bajaj Housing Finance Ltd. They offer home loans of up to Rs. 3.5 crore which can be paid over a long tenor.